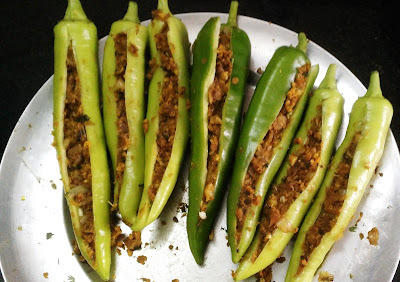 Tasty & spicy stuffed mirchi !! 1. Wash the chillies & give a cut in the middle of green chilli. Keep aside. 2. Heat oil in heavy bottom pan. 3. Add cumin seeds, hing & turmeric powder. 4. Add garlic, ginger paste, chilli powder. Saute for a minute. 5. Add onion,salt & sugar. 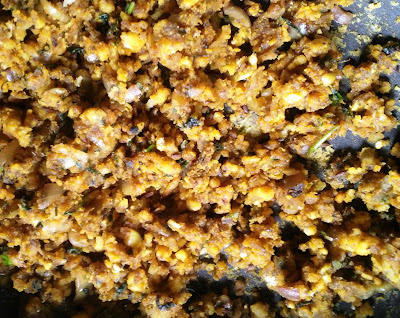 Mix well till onion becomes little soft. 6. Add besan & amchur. 7. Mix well. Sprinkle water & again mix thoroughly. 8. Let the stuffing cool down..
9. Fill all the chillies with this tasty stuffing. 10. Add 2 tsp oil in a heavy bottom pan. Turn on the gas & place stuffed chillies in the oil when it becomes hot. Cook on very slow flame by covering the pan. It will take 5 to 10 min. only. 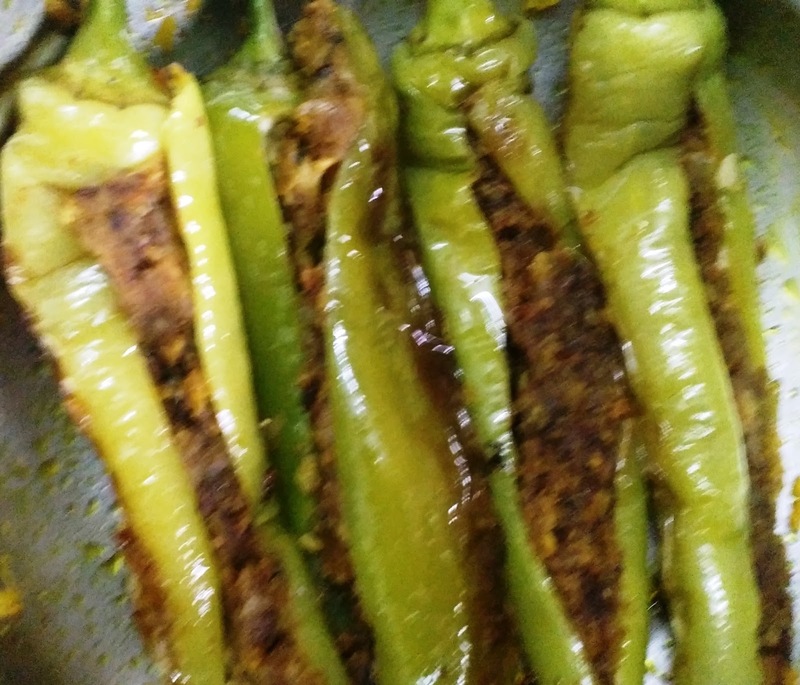 10.Enjoy this mouth watering stuffed chillies with phulka or rice.